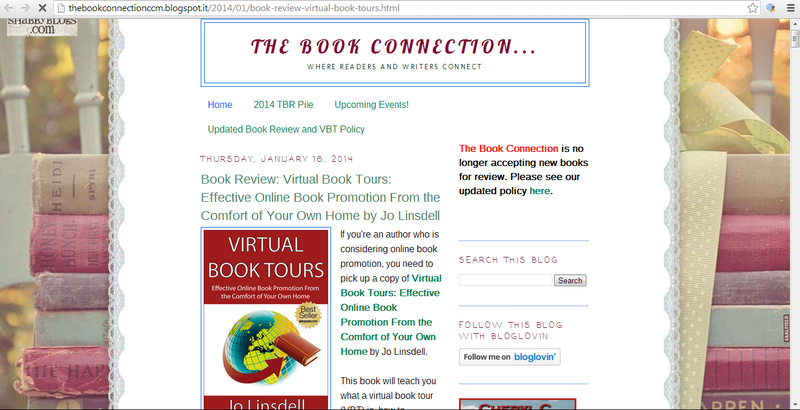 "Before you plan your first virtual book tour, or even if you've planned one before and would like to brush up on the ins and outs of promoting your book online, pick up a copy of Virtual Book Tours: Effective Online Book Promotion From the Comfort of Your Own Home by Jo Linsdell". 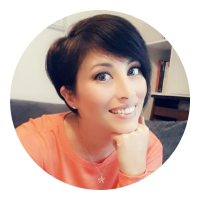 To read the full review please visit http://thebookconnectionccm.blogspot.it/2014/01/book-review-virtual-book-tours.html. If you've read the book please take a moment to post your own review to Amazon and/or Goodreads. I love reading your feedback and reviews really do make a big difference to how the book shows up in online algorithms.